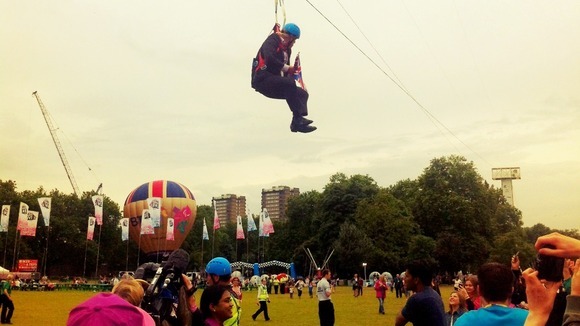 The Mayor Of London was left dangling 20 foot in the air today when a zip wire he was riding malfunctioned. 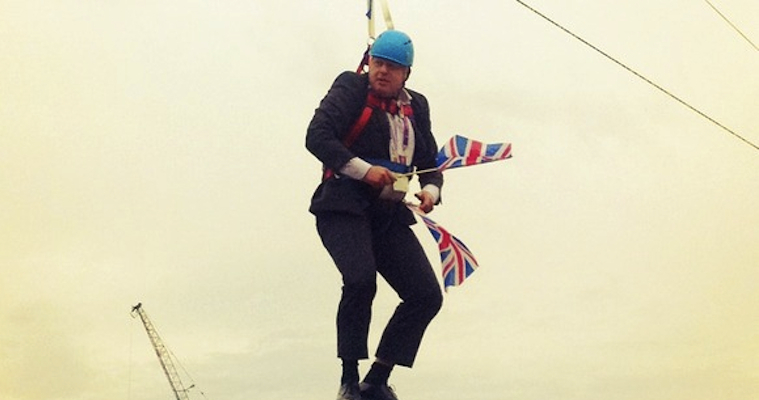 Fresh from the hilarious Cassette Boy remix of his Olympic message, Boris Johnson has become the subject of more hilarity due to the Olympics as he became stuck halfway down a zip wire at an event in Victoria Park about an hour ago. 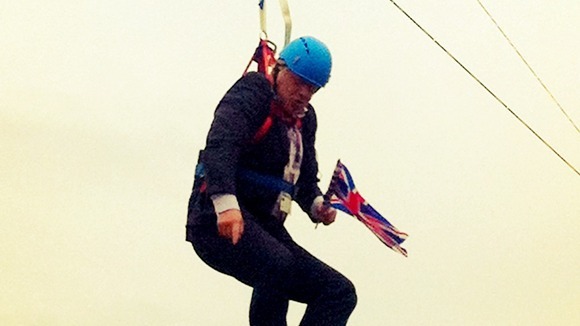 Boris Johnson was the first person to try the zip wire out and in true comedy fashion was left dangling in the middle of it. 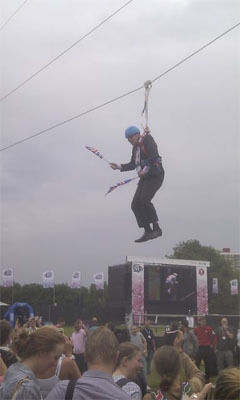 He had to be pulled down the wire the rest of the way by a team of helpers on the ground and was heard shouting ‘Get me a rope, get me a ladder dammit!’ This is pretty interesting because I mean, does anyone really think that if somebody gave Boris Johnson a rope or a ladder than he would be able to negotiate himself down from a zip line, as he looks like one of the least co-ordinated people in the history of movement. Hopefully there were at least some Olympic babes waiting for him at the end of the zip wire.